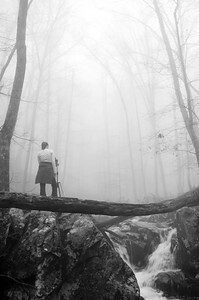 Theresa is a photographer and web developer living in the Shenandoah Valley of Virginia. She photographs a wide range of subjects, specializing in landscape, wildlife and food photography. Theresa's photographs have been featured in magazines, nature centers, websites and other print publications throughout the world.You can find her food photos & recipes on The Craving Chronicles website. All photos on this site are copyright Theresa Sullivan and T. Sullivan Photography. You may not use them for any purpose without express written permission.